I am always so honored to share my passion for quilting with others. So of course I am super pumped when one of my projects gets published in a national magazine. 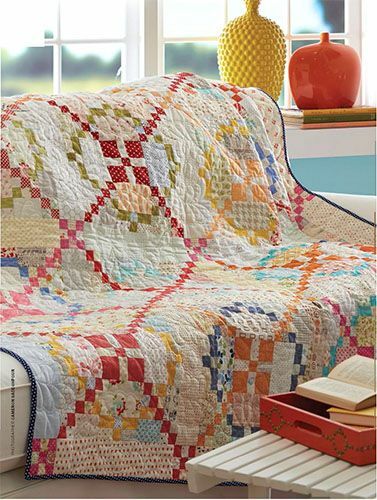 BUT what really has taken the whole experience way over the top is the #APQquiltalong from the Feb 2014 issue of American Patchwork and Quilting. There were several people that had agreed to go on this quilt along ride and were featured in the magazine. I knew each of them would do something really different. 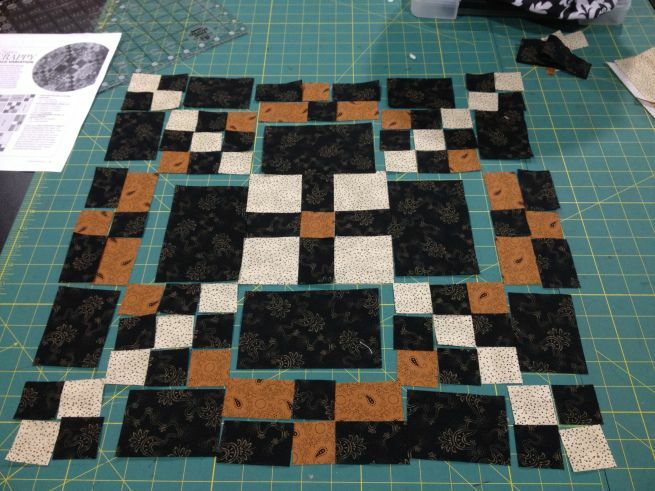 I wanted to share some of the #AQPquiltalong projects. I just love how they are all coming along. Each is so different and is also a great lesson in color and value placement. time to be a part of this. And then we have Anne from Bunny Hill. 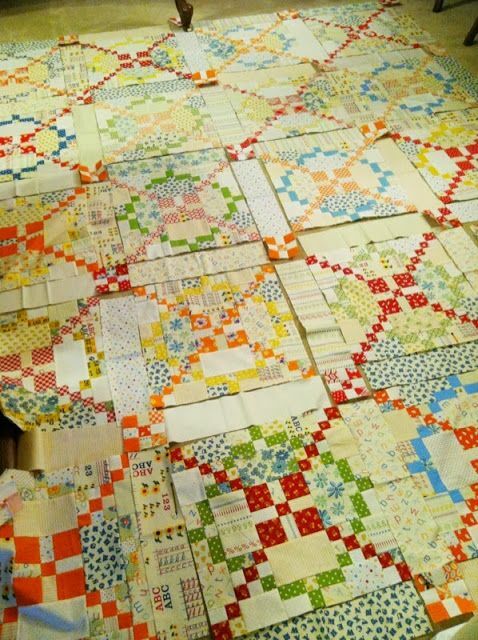 See what I mean by how different each of the quilts are coming along. and getting her projects complete. 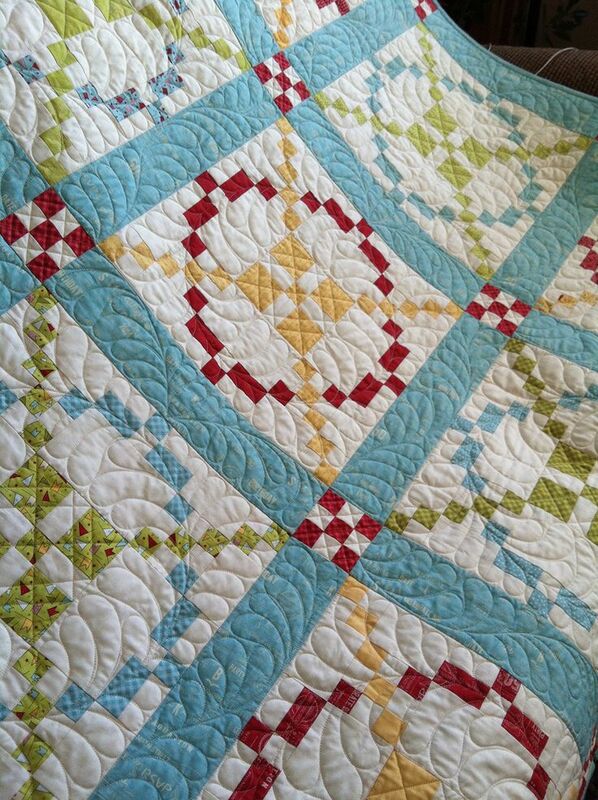 is the exact same as the other quilts but the value placement has given this quilt a completely different design. in black and white, then started coloring in the shapes. Jane, you are so inspiring. Sherri McConnell of A Quilting Life. I am sure you all read Sherri’s blog. She is a true classic in every step of the word. So Sherri choose fabric from a classic designer, Sandy Klop of American Jane. 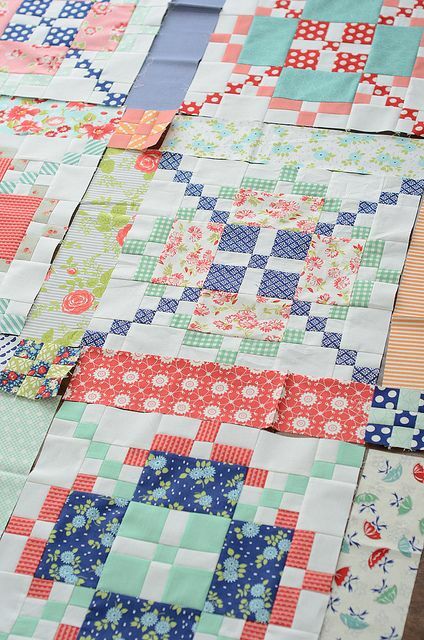 This quilt was a good reason for Sherri to pull out her American Jane collection of fabrics and dive in. I would like to point out that this is also a good reason why we like to hoard our favorite designers fabric collection. And yes it is okay to have more than one favorite designer, hoard their collections, and have a fabulous stash. Stash is not a bad word. I knew Amy would give us all an interesting take on scale and design. Amy’s combination of fabrics adds such movement throughout. I knew Lisa would give us all the complete opposite look of my quilt. She put darks where the lights were, lights where the darks were supposed to be. doesn’t mean you have to use dark. Again another example of greatness in everything she touches. Camille played with her value by use of lights, mediums and darks. My quilt was truly lights or darks, no mediums. By adding the mediums, Camille’s version incorporates a softer, vintage feel. And my apologies to Carrie Nelson. I left her greatness off of my original post. I can’t really say enough about Carrie. Her version is a timeless classic. 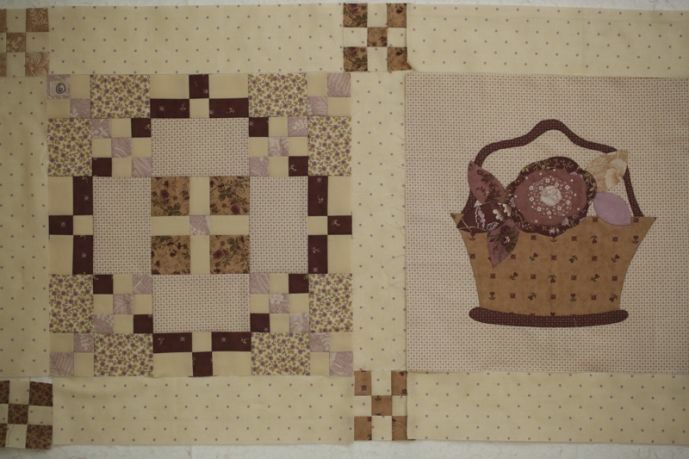 Read all about her thought process as she created this quilt. Thanks again to all these talented ladies for being a part of this quiltalong. Let me know if you are quiltingalong. and I would love to add your version to the board. 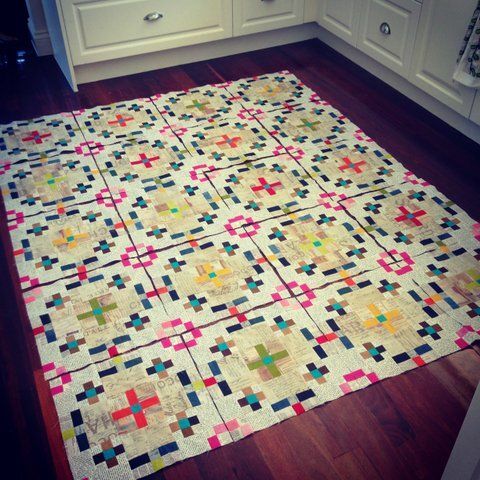 I also love (heart) Miss Rosie's quilt…I saw it on Instagram and it's beau-ti-ful. All of them are truly stunning! 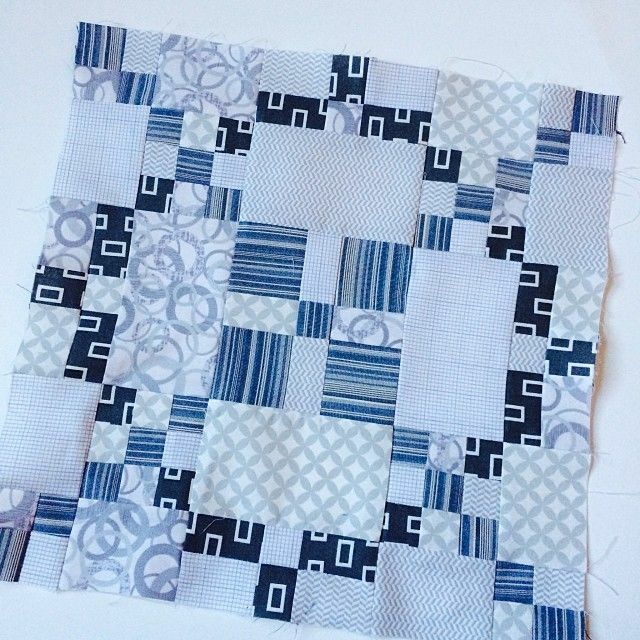 I have to agree with Carmen Martens, Carries version is stunning..i have seen in real life and it made me want to go home and immediately start cutting out pieces for this quilt. Well done ladies! All them are absolutely beautiful.Thanks for sharing! I LOVE the really scrappy blocks—These make my RWB really boring.